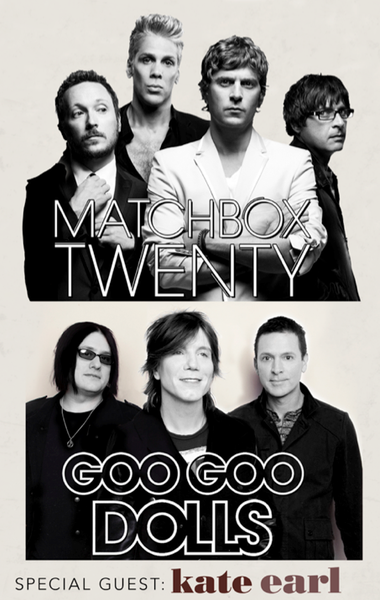 As you already know - Matchbox Twenty is headed out on tour with Goo Goo Dolls this summer and fanclub members get first shot at tickets. This weeks' fanclub exclusive pre-sale starts at 10am local venue time on Tues 4/16. Don't miss out! If you aren't a member of the fanclub yet, you can join here. You will need a pre-sale code to access tickets. Make sure you're a member by 6pm on Monday 4/15 to get your code emailed to you. The last batch of codes will be sent out to fanclub members that evening.